There has been some talk lately that has many people asking if the newly elected President is more than just a problem for the United States, for Muslims, and for women. The Muslim ban is the first of many attempts to undermine individual liberties and human rights. This is why Trump is not just a problem for America but rather for the whole world–regardless of how much political or economic power he may hold. Sara is a young Italian illustrator, “made in Naples” but based in Turin, the city where she graduated with a Bachelors in Communication and Graphic Design. After graduation she lived in New York City for a few months, just enough time to fall in love with the city and return to Italy to do what she loves: drawing. Ironic, sometimes irreverent, she’s always curious and constantly hungry for new ideas (or just hungry). 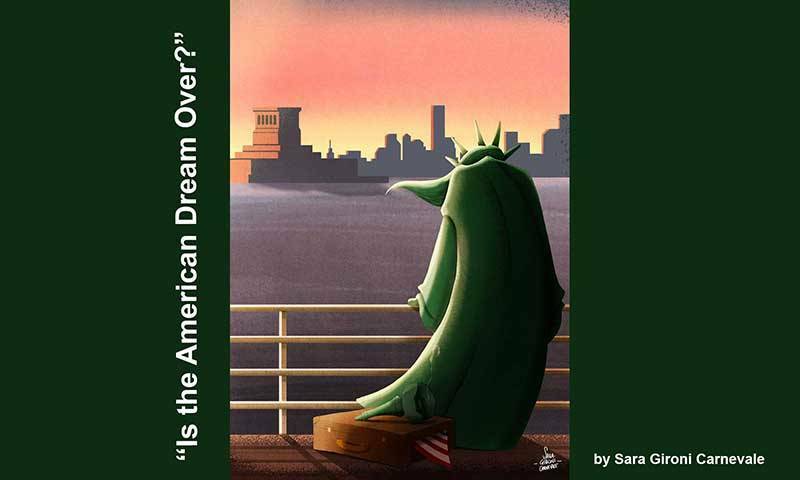 Sara’s illustrations have a strong emotional impact: human rights and society’s inconsistencies and injustices of the Modern Age are the most recurring themes in her work, characterized by a surprising sensitivity facilitated by a clean style and a bold use of color.